Military families are in a continuous mode of transition. Either a parent is training for a deployment, on a deployment, or coming back from a deployment. The military family is planning to move to another location or they are bracing themselves to be told where they are going to move to and have no idea where the next place will be that they will eventually call home. Many times, they have no clue as to the length of time they will be there at that location and this adds to the hiccups many military families face. When you add raising a special needs child into the mix, planning for the future becomes trickier. There are military resources out there to help you maneuver through each transition and to educate you on programs that are in place to guide you and your family through your military journey. I’ll be honest, in the end, it will all depend on how resourceful you are and how you are able to learn from your mistakes. Over time, your family will adjust and remember resources that were more helpful than others. You may find a certain person at an installation that worked harder for you than others. Remember those people and keep their information. Build relationships with those people because you never know if you’ll be back to that installation. Always remember that organizations are people. That means that the person on the other end of the phone or the person that responds to your email may not provide you with what you’re looking for in the beginning, but that does not mean you stop trying. You call again until you find the person that can give you the answer you’re looking for. Frankly, I have found that Facebook has been one of the most useful tools as my family has transitioned from installation to installation. I have points of contact that I have relied on for years, but have not had the privilege of meeting face to face. What is so amazing about military families is that as long as we have two common bonds of serving in the military and enduring the hardship of raising a child with a disability, that is enough. My main piece of advice in this regard is to reach out and ask questions. Always be proactive and if something doesn’t exist, then ask them to create it. Remember, the worst thing that could happen is they will say no. If they say no, then ask again. Some day, that no could turn into a yes. Every branch of the military has an EFMP (Exceptional Family Member Program), but some branches are organized a little differently than others. The Army and Air Force are similar in structure. They have two EFMP programs. One EFMP that focuses on the medical needs of the family member to ensure the family is in a location that can provide medical support needed. Then there is an EFMP that is located on the community services side that connects the family to resources in the local community, support groups and provides information on respite programs etc. If you go to the formal webpage for any military installation, you will be able to find the phone number and location of the EFMP that is near you. The Marines and Navy are a little bit more unique. Their EFMP is a one stop shop. 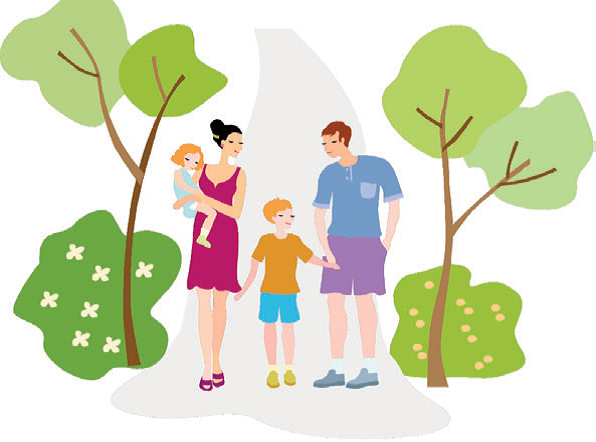 They are not divided into two different programs, hence making it more user – friendly for families who are not only trying to line up medical referrals for their family members, but also can learn about respite and other programs that are available to them without having to leave one location and going to another for information. When you reach out to your local EFMP office, please ask if they have a Facebook page. It’s a great way to link in to what they are providing to families at their installation. If you are looking for any recreational programs for children with disabilities, the EFMP office is the place to start. If they are not providing anything to your liking at the local installation, ask them to help you locate options in the local area that may interest you. Hippotherapy, swimming, local athletic teams, and nature camps may be available in your area. Since the Army and the Air Force have two EFMP programs, if you are interested in learning more about recreational programs, visit the EFMP located with community services. Please reach out to EFMP if you are having any issues with locating a medical referral or if the paperwork for your child’s diagnosis is not straight. They are available to help you maneuver through the military medical system in order for you to care for you family member with special needs. At each military hospital, there should be a patient advocate available to assist you if you feel that your family member with special needs is not receiving the care he/she needs, or if a referral has been lost or delayed. I understand that maneuvering through the military healthcare system can be very frustrating, especially when it involves your loved one. Remember to document everything and write down some specifics, like the name of the doctor and/or the name of the doctor you would like your family member to see now. If you have been contacting a department for several days and have not received a response, document when and how many times you called. This will help you build a case with the patient advocate. The more information you provide them, the better; it will empower them to help you. I know that documenting everything may seem tedious, but in the heat of the moment, details such as these can be forgotten and it slows the process towards change. about the place you are moving to, but it can be helpful to speak with families who are living day to day at that installation taking care of EFM’s, just like you. Facebook can fill this void because this tool enables parents to connect with other parents who are going through similar experiences or who have been there in the past. There are many pages that create a place where parents can reach out to others and ask questions such as, “My spouse has been told that we can move to Fort Hood or Fort Drum. We have a seven-year-old son with autism that needs Speech, OT, and ABA. He is currently on an IEP and in a special needs classroom. Which place would be a better fit? Are there long wait lists? What service providers are the best? Which ones should I stay away from?” I know. This is a loaded question, but it’s amazing to see how many parents will jump on and educate that parent on what is available at both of those locations. One may post, “I haven’t been at either of those places, but I have a friend who has been to both. I’m reaching out to her now.” This type of networking is invaluable and my family reaches out in this capacity every move we make. Military Special Needs Network (www.militaryspecialneedsnetwork.com) is a great way to connect with other military families who have special needs family members. Whether it be questions concerning healthcare, to finding local community supports. They have an active network where parents can link in to this community and ask questions on how to tackle respite issues no matter which branch the spouse is serving because this page is not branch specific. If you allocate which branch you would like to communicate to in your post, then those families will respond. Many times, a family from another branch of service responds to questions such as, “How do I learn more about different recreational services near my installation besides visiting my local MWR (Morale, Welfare and Recreation) office?” They may have some creative options that will relate to your local area. Again, the first step is to reach out and ask the community. Networks such as this one are a great way to reach out and make contacts in order to find solutions. AMFAS is a community support network comprised of military families who are raising family members with autism. This network has been created to provide support and also educates the military autism community on changes in healthcare services, as well as information that affects how military families raise and provide support for their family members with autism. This community network is not just limited to one page but involves a series of closed Facebook pages that represent each military installation across all branches of the military. If you cannot find a page that represents where you are going then send a message to the main AMFAS page and you will be able to link with someone who can provide support. EFMP Support Group #2 is the peer to peer support that the Military Special Needs Network provides through Facebook. Issues, such as trying to find a pediatric neurologist and how to work with TRICARE on that issue are discussed. There are many discussions about the difficulty of accessing services, like respite. Parents will provide opinions on those issues, discuss their wait lists and also provide options for how to seek services from other resources if respite through the military branch is too difficult. This Facebook page is very helpful, with many knowledgeable parents and advocates who are able and willing to assist. Military OneSource (www.militaryonesource.mil) is a comprehensive website that includes quite a bit of information for parents with special needs children. The website enables you to download a Special Needs Parent Toolkit that provides information on healthcare benefits including ECHO (Extended Care Health Option) and also how to enroll into EFMP. In the toolkit, they also discuss financial planning along with special needs trusts and why a family may need one. Military OneSource offers a list of attorneys who are qualified to handle special needs trusts. They state that “many lawyers will consider reducing their fees or allowing payment on a monthly basis for their services,” so it is important to talk with other parents and resources, such as MilitaryOneSource, before choosing one. Legal services at local installations most likely will not be able to provide that service. The Organization for Autism Research raises funds for grants towards autism research and provides scholarships for people with autism attending college or vocational-technical schools, but what I have utilized the most and what I have given to many families is the Guide for Military Families and Navigating the Special Education System. These guides can be provided through their website, researchautism.org. The Guide for Military Families gives military guidance on how to maneuver through TRICARE and ECHO as well as how to choose the best services for your child. This is a very well-written guide on how to talk to your commander so leadership understands that you are now learning that your child has a disability. If your command knows this, this opens dialog on how they can support you in order for you set up the appropriate services for your child. If you are having difficulties getting paperwork through, or referrals aren’t getting approved at a rate that is feasible, then command may be able to provide guidance. This toolkit discusses these issues and provides encouragement while giving you ways to communicate with leadership in your organization. As families transition to installations around the world, it is imperative that parents reach out and be proactive in order to access appropriate services and care for their family members with special needs. Raising a child in the military with special needs is not easy, but by reaching out and utilizing the resources that were discussed, families will be able to create a new sense of normalcy with each transition they need to make while serving our country. One will never change. You are the best and strongest advocate for your child. There is no one service or resource that can provide everything for your child at every installation for every branch in the military. As I mentioned before, organizations are people, so as you move, conditions change, service options change and the people that you are working with will change. Always remember this so as you are planning your transition, realize that you are building a new network of resources each time you move. Yes, EFMP will be there to assist, and you will have a group of amazing parents available through other resources, but it starts with you, the parent. You may be presented with, “this isn’t available here” or, “I don’t know anything about that.” Whatever you do, don’t stop there. Be resourceful and proactive in your search. Remember to always think outside the box. Your child is worth it. Shelly Huhtanen is an Army wife stationed at Fort Benning, GA who has a child with autism. She contributes a monthly column to EP called Puzzles and Camo that shares her experiences of day-to-day life caring for her son with autism while serving as an Army spouse. She has published a book entitled Giving a Voice to the Silent Many that encompasses many stories of raising a child with autism in the military, such as transitioning to different installations, changing schools, and enduring deployments. She is passionate about autism advocacy for our military and works to bring awareness to our local legislators and command about providing better support for our military autism community, such as better health care and education.